Solid State Logic and Alicia Keys go to Number One! MINNEAPOLIS, MN  Wild Sound Recording Studios recently installed a Solid State Logic AWS 900+ SE console to upgrade the sonic signature and workflow of its control room. Wild Sound specializes in high level acoustic recording of classical, folk, ethnic and jazz performances and was using an aging analogue console coupled with a DAW controller. 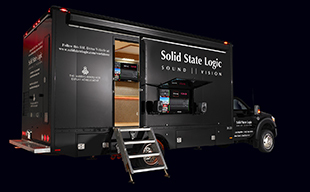 The AWS 900+ SE allows Wild Sound to have the best of both worlds by delivering sterling sound quality, internal summing flexibility and integrated DAW control. Wild Sound is comprised of one control room servicing one large and three smaller studio rooms. The AWS 900+ SE has had a giant impact on the workflow at Wild Sound because the console is used not only to track and control Pro Tools, but is also used for mixing, replacing the DAW control surface. Beyond consolidating the workflow for Wild Sound, the intrinsic sound quality of the AWS 900+ SE sets a high benchmark for all recordings, obviating the strong reliance on outboard mic pres and equalizers. The Total Recall automation also enhances the workflow through the simple recalling of console settings to revisit a project. This was not possible by constantly relying on outboard gear.